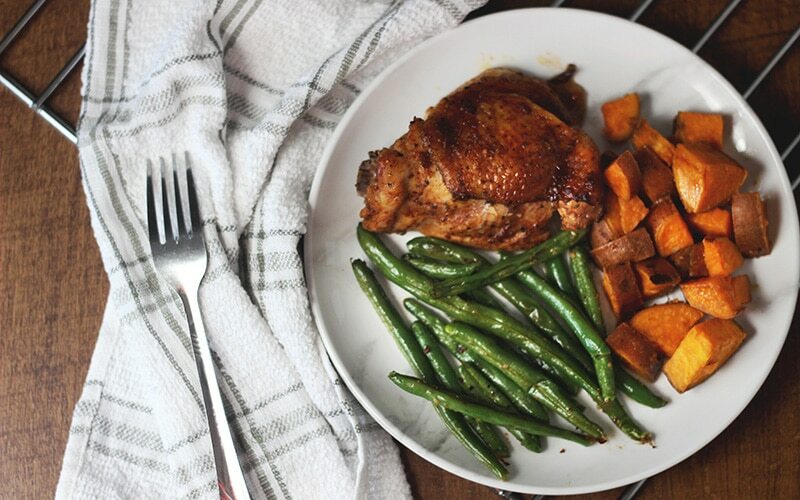 A BBQ sheet pan chicken and veggies meal with meat full of flavor, plus sweet potatoes that are perfectly soft with a slight crisp to them, and green beans cooked to perfection. I love Aldi! Because they don’t always carry all of the specialty items they get me hooked on, they have made some awesome introductions that have turned into fast favorites. Kinda like that friend who is a good connector. They know a little of everyone. So when you get with them, you never know who they will introduce you to as a mutual acquaintance. Leaving you to make a further connection if you so choose. A few months back, I went down the dreaded beloved Aldi specials aisle. And let me say, and make it perfectly clear, it is only dreaded by my husband and my bank balance. You know the aisle that has all the extra stuff. Things you didn’t even know you needed, probably because you didn’t. But now that you saw them, you have to have them. Even if it means you have to figure out a way to use them. That aisle makes me feel like I need all of the things because a) the price can’t be passed up, and b) it’s, whatever “it” is, is simply irresistible. 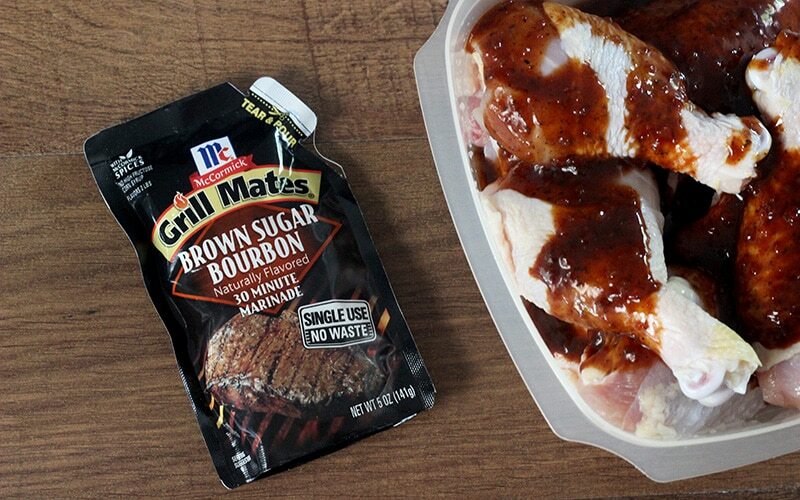 For me on this particular day, that thing was the Mccormick Brown Sugar Bourbon Grill Mates Marinade. It didn’t cost much and it sounded DELICIOUS. And you know what? it was! Delicious. Absolutely, undeniably good! I used the marinade with chicken thighs and drums. Dark meat is my favorite. I marinated the chicken in the sauce and made a sheet pan chicken and vegetable meal out of it by adding sweet potatoes and green beans. For me, it was just something I thought was a quick meal to throw together. But when I tell you my family raved about this meal like it was restaurant quality, know that I am telling no lies. They loved it so much that it has become a part of my simple, easy recipe rotation. It’s one of those meals I pull out my hat when I know I need to prep ahead or I won’t have much time. 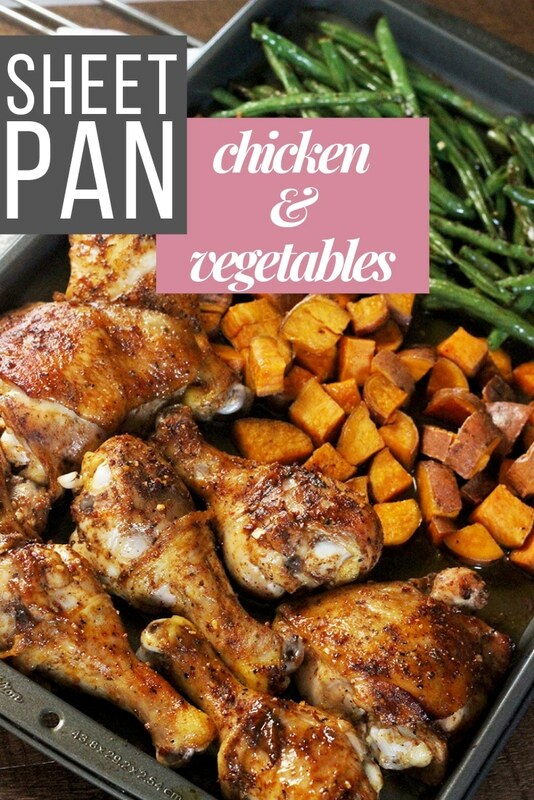 In this sheet pan chicken and veggies, the chicken is full of flavor, the sweet potatoes are perfectly soft with a little crisp to them, and the green beans are cooked to perfection. 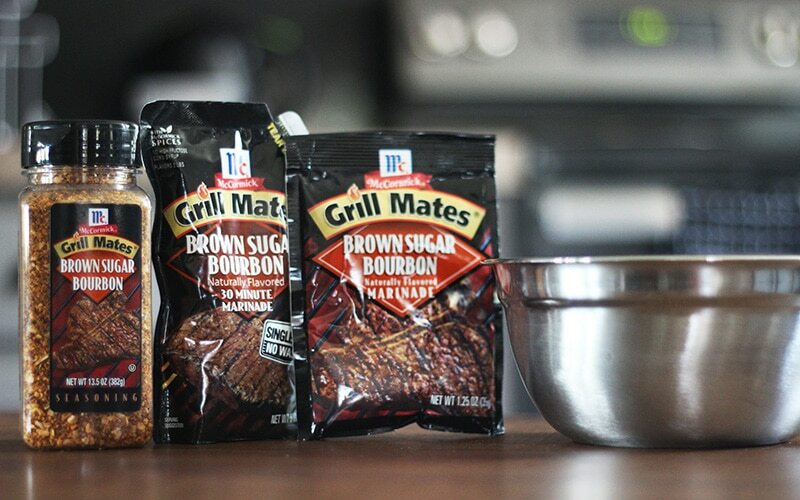 The marinade packet is how I originally discovered the Brown Sugar Bourbon line from McCormick. But it’s not always available. So I have also used the marinade dry packet or the seasoning to create the marinade. It comes out just as good. And only takes a few extra steps and ingredients that you probably already have in your pantry. Yet another simple and easy meal for you to add to your stash. The thing I love about sheet pan meals is the fact that everything cooks all at once and it is pretty hands off. Like skillet meals, only better, because you can stick it in the oven and walk away if you need to. NOTE: Because of the number of people I cook for, I normally make the green beans separately using my Roasted Green Bean Recipe. 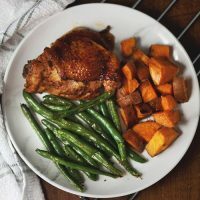 But if you choose to make it altogether, you would just toss the green beans in olive oil, and add to the sheet pan in the last 15 minutes of cooking to prevent the green beans overcooking. Start by preheating your oven to 400℉. and then place the chicken in glass or plastic container. Drizzle with marinade and toss to coat. Set in fridge for at least 30 minutes. 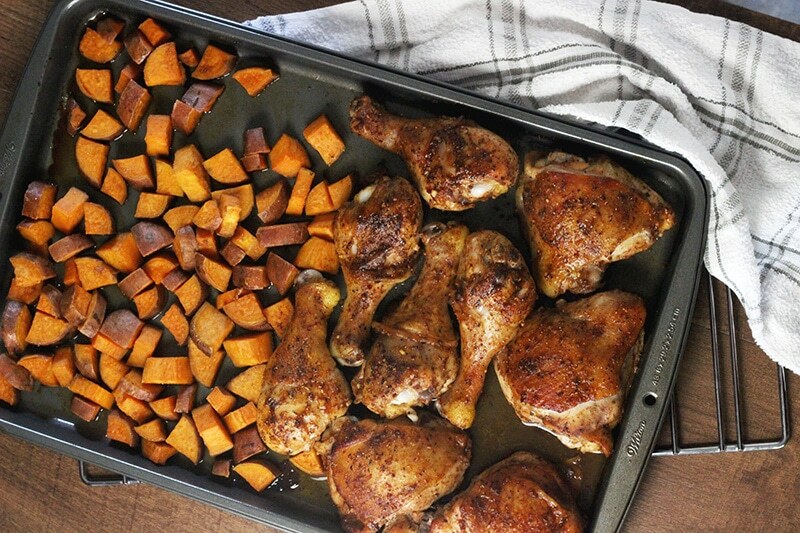 Coat your sheet pan with cooking spray. I use olive oil, but really whatever you have should be fine. If you don't have cooking spray, you can always brush the sheet pan with olive oil as well. In a medium bowl, mix together the butter, brown sugar, and seasoning salt. And then add in diced potatoes to the bowl with the butter mixture and toss. 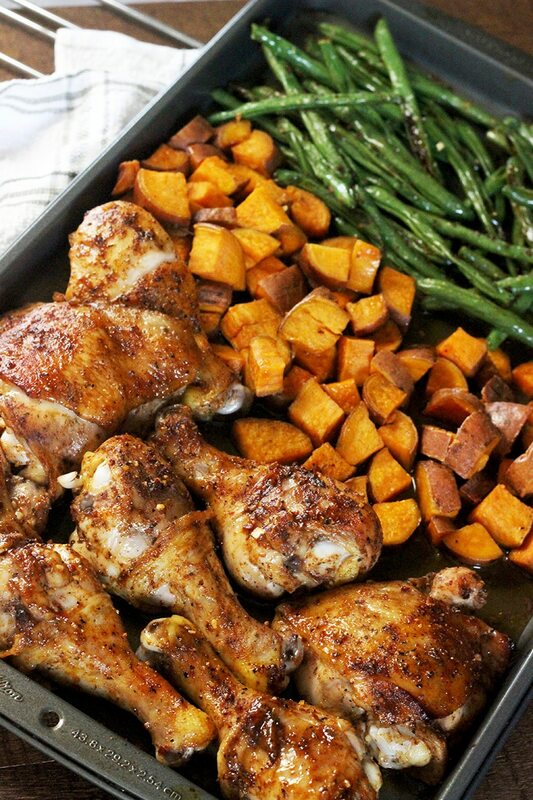 Remove chicken from fridge and line the pieces up touching side-by-side on the greased sheet pan. You can season to the chicken to taste. I personally add a little seasoning salt garlic powder and pepper for delicious flavor. 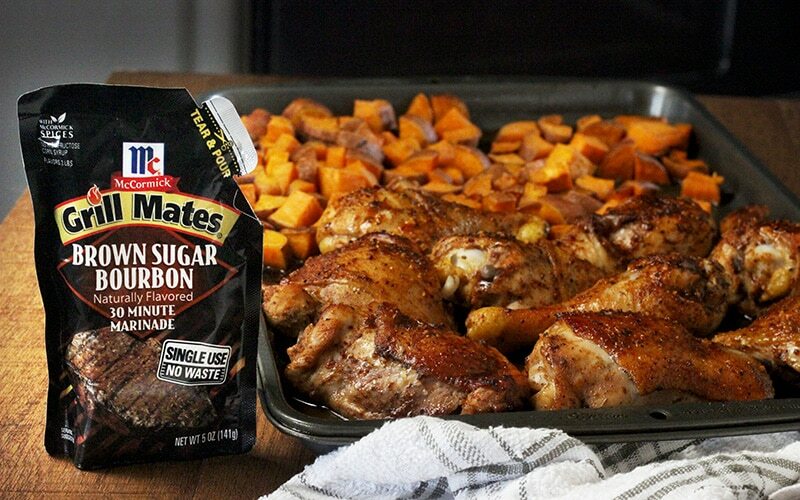 Alongside the chicken, line up the sweet potatoes. Place it all in the oven and cook for 30 minutes or until chicken is thoroughly cooked through. 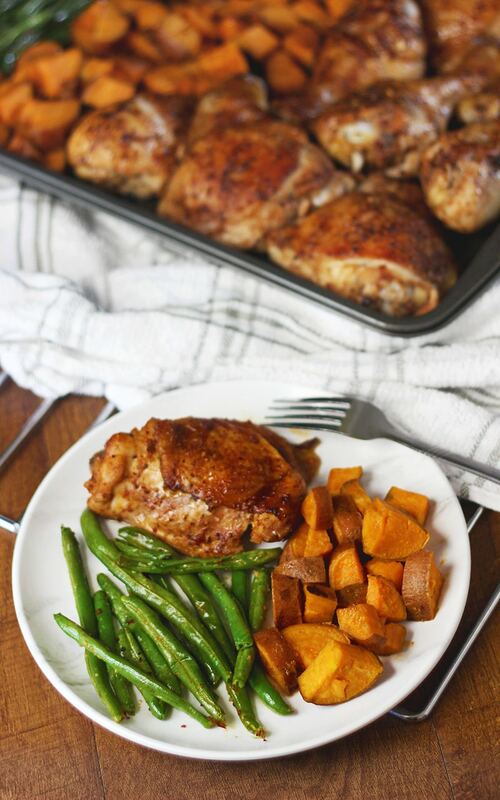 A sheet pan meal with chicken full of flavor, sweet potatoes that are perfectly soft with a slight crisp to them, and green beans cooked to perfection. Put chicken in glass or plastic container. Drizzle with marinade and toss to coat. Set in fridge for at least 30 minutes. Coat sheet pan with cooking spray. In a medium bowl, mix together butter, brown sugar, and seasoning salt. Add diced potatoes to bowl with butter mixture and toss. Remove chicken from fridge and line up pieces touching on greased sheet pan. Season to taste. 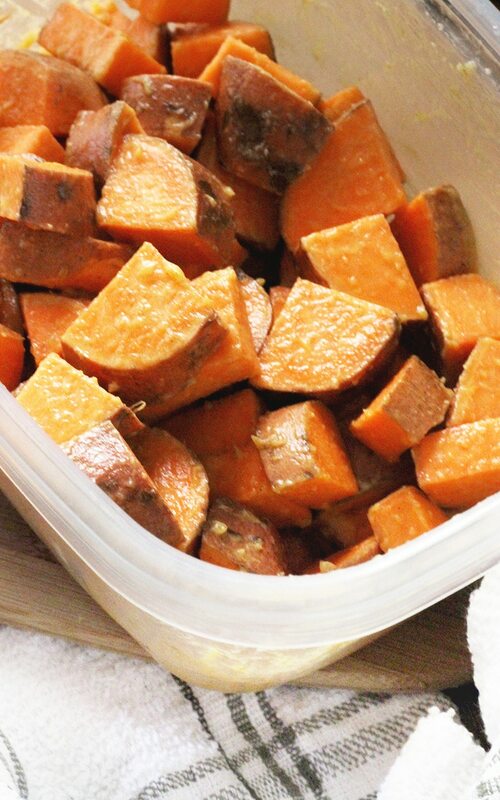 Alongside chicken, line up sweet potatoes. 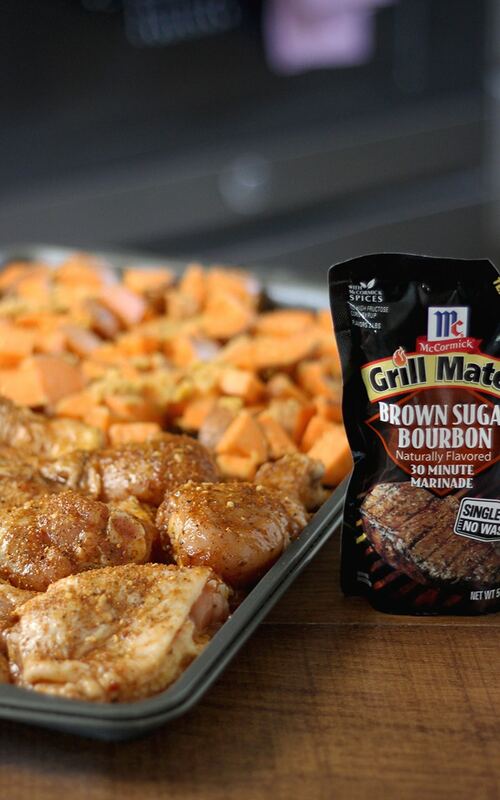 * McCormick also offers Bourbon BBQ seasoning and dry marinade seasoning packets as well. ** Chicken is fully cooked with internal thermometer reads 165℉. 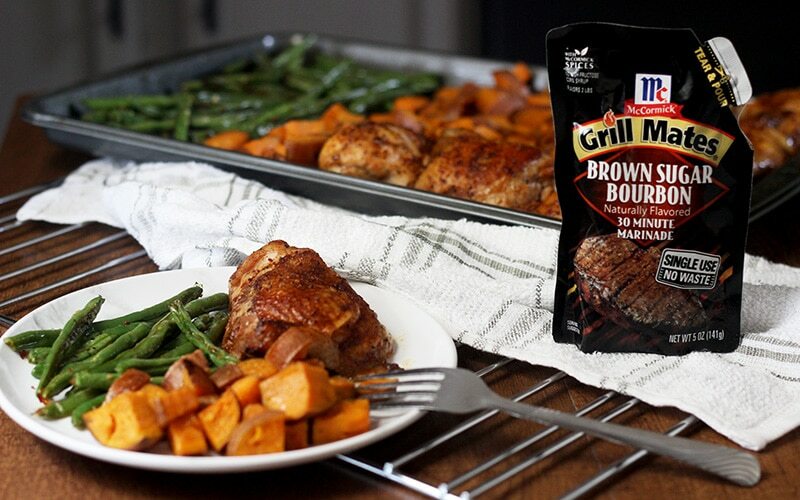 INTERESTED IN MAKING BROWN SUGAR BOURBON BBQ SHEET PAN CHICKEN & VEGETABLES? YOU CAN PIN IT AND SAVE IT FOR LATER WHEN YOU ARE READY TO MAKE IT!